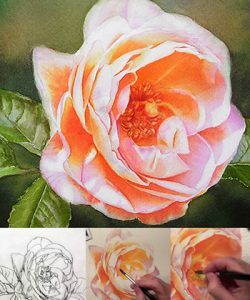 I have finished another Rose painting. A study of the Rose Bonita Renaissance. A beautiful rose which really glows with orange. The background was painted in a loose watercolor style. 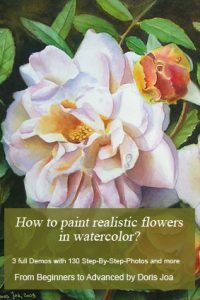 This was very different for me as I usually work very controlled in my watercolor paintings. But I wanted to loosen up this painting a bit more. In Step 1 I wet I wet the paper and then threw my colours in – some yellow, green and a bit of orange – over the background. I let them mix together on the paper. After step 1 was completely BONE DRY I then started with the leaves and tried to keep all the highlights. The highlights are the white of the paper. I didn’t want to use masking fluid there. If it is possible I tend to work without masking fluid as I do not really like the hard edges I get when the masking fluid is removed. 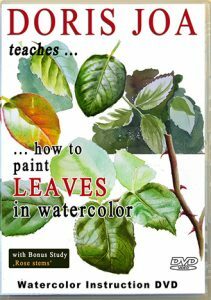 When the areas with the leaves were finished I then added more colours to the background. I wanted to see how it all would look together. At this time the rose still was untouched. 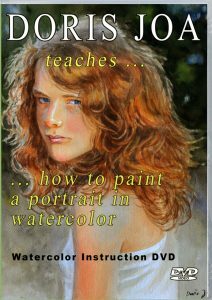 This again was very different for me – as I usually always paint my main subject at first. To paint in a loose watercolor style was really a challenge for me. 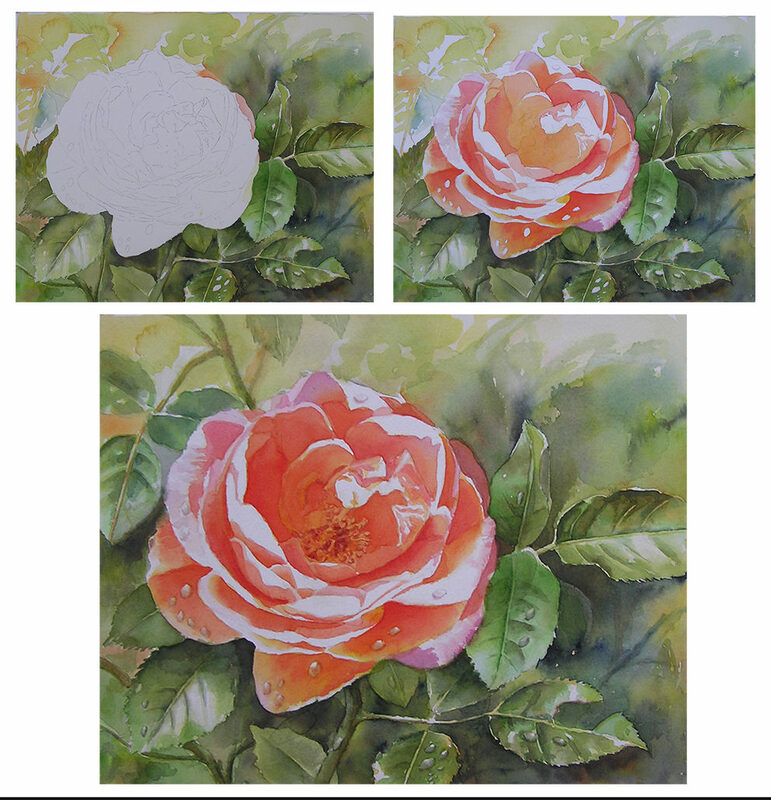 Finally I started with some colour on this beautiful rose – I also continued working on the leaves and background until I was happy. I was very astonished that I allowed myself to see splashes of water on the paper – usually my washes are very fine. But I wanted to use the special watercolor effect which only can happen when we paint with watercolors. I also was very astonished that I liked the area in the right corner at the top – I didn’t want to touch this area again there and let it as it was. All was working perfect together. Then I finally worked on the rose and then the dewdrops. I added some Indigo and Burnt Sienna to my background colours, the mix of both colours creates a very nice dark. 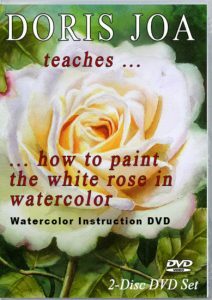 In my Watercolor DVD ‘Stunning Flowers’ you can watch me painting the same rose again, but very realistic and with controlled washes. 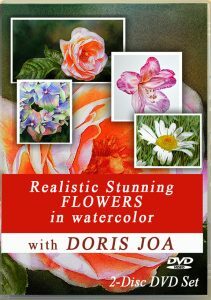 I must add that I like to paint in different styles. The loose watercolor style made absolutely fun and I love that it still looks realistic. ← What inspires you? 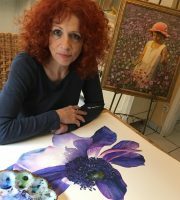 From where do you get your inspiration for your paintings?